Do you work for Basecamp? "Fun and Intuitive Project Management"
"Carry out our projects with organization and planning with Basecamp." Our company has been listed as one of the best in its management, so we chose to obtain the Basecamp software, which allows us to organize projects timely, plan work trips from a different perspective, helps us to manage easily, and timely, account with didactic and practical mechanisms to carry out these calendars with a very intuitive interface. Of the few shortcomings, it should be remembered that it deserves to be added more functions so that the company has a better reach with this software, analyzing its graphic interface deserves a better update so that it is intuitive and attractive for the administrator. This software we recommend why we like to have it, practice to make the organizations of each of our work projects, it is very intuitive, economical to acquire it, it is easy to use. The product is very good, it would be necessary to update it and take into account all the recommendations that we have made, after all it is very practical to carry out our organizations of the projects to be executed by the company.
" BaseCamp, organizes our projects and our daily tasks"
Our company has stood out as one of the best in terms of organization, we have chosen to acquire Basecamp software in a timely manner, as a support in the part of our extensive corporate projects to plan, manage, punctuate through the calendar so that Through these tools we reach an organized and well structured company. Throughout our operations, we have analyzed this software and have met the minimum requirements that we need to be able to advance in the organization of our projects and our day-to-day work. There are many key features that add to collaborative work for the entity as a whole based departmentally. It provides a single place where everyone can work together to reach a common goal. I did not like the interface for people that weren’t current users. It was difficult to work with clients outside of basecamp. The layout is a little bit hard to adjust. I would like to be able to move different portions of activity around more clearly. I would like to be able to tag files within a specific project instead of seeing everything always, while still having the option to do so. Great, I would recommend this app to all the workers and managers as it can be a way to optimize results. Reliability is the word that best describes this software able to organize people and to delegate tasks. This software's unique feature is the quality of the things that you might get done on time and, in correlation to this, on a budget. The user-friendly intercase is matched with a productivity platform where the user can feel free to best order his tasks. This software is a smart way of being one step ahead of the game, with good assistance service. I like Basecamp, In our company, this tool is used to track projects and easily add users involved in their implementation, as well as communication between team members in real time. The flat monthly pricing model is a bit of a turn off for us, being an incredibly small business putting significantly less load on the program it seems a little strange to be paying the same as those businesses. Helps us to fully organize streams and files for our various projects. This tool is effectively used by us in the exchange of information, as well as to maintain communication within the team during the work process. Positive but lacking, needs more features to be the be all end all solution. It's very intuitive and easy to use, but I feel that is more due to a lack of certain features than clever design. The single panel approach does make it very easy to access different functions though. "I like the simplicity of Basecamp"
Easy to use, easy to share, a great way to organize yourself and your team. There are a lot of great features, the to-do lists for each event/project are extremely helpful. It is awesome that you can add various team members to to-dos and check on their progress. Because we have so many different platforms and databases used internally it is hard to keep up on Basecamp and updating it. If this was the only organizational platform we used it would be amazing! This software is great for group projects. It makes it easy for the team to communicate and get things done. Allows for great communication amongst different time zones. Basecamp has been great to our team and clients, allowing us to connect and collaborate as one. The communication system has allowed us to build strong relationships with each other and our customers. This service is proven to our team to be an invaluable tool. "With basecamp it will be easier than ever to manage projects"
From basecamp we quite like its integrated tool for chat and messaging, because thanks to that we are communicated with the rest of the team in a much simpler way. We like your survey manager, and your tracking system for website visitors. We like if layout of the calendar of events, and of photo gallery. From basecamp we dislike several things. It does not have a telephone system or newsletter management, which would be quite useful to keep us informed about the use of the platform by other team members. We do not like at all its integration to social media, since sharing files to social networks using basecamp can take a long time. We do not like your audio and video conference system. Basecamp is a highly recommended equipment management platform. It has an excellent system for organizing projects, and a good team chat tool. We can also recommend it a lot for the management of employee directories, and for the management of surveys. It is a great alternative for all kinds of small businesses that want to expand. Thanks to the use of basecamp we can make better follow-ups to the visitors of our website. We have benefited a lot from being able to carry out call routing, thus improving our unified communication. It has also helped us a lot to create predesigned responses for live chat, helping to improve our relationship with customers. "It allows me to organize and order my tasks"
We are able to not only be more transparent internally but with our clients as well!! With only just beginning to use this software in January, I don't remember what I ever did without it! I have not found much if anything that I do not like about the product. I will definitely continue digging around to see if there is anything that I would request to change, but if that's the case their support is great and is very helpful! This software allows you to organize and schedule out tasks, collaborate and manage projects. It's aesthetically pleasing to look at, simple to navigate and keeps everyone on the same page. Having the ability to give our team and our customers access to everything in one location without having to make sure that potentially private folders are not shared (like in Google Drive) is fabulous! The notification through email in which you are taken directly to the Basecamp board in which you need to review or comment is great. It also allows you to see previous conversations and shares which is wonderful when needed to look back and find specific information. "With basecamp it is very easy to order our agenda"
From basecamp we like to share documents, audio files, and images so easily. It is very easy to organize each folder and then use them. We also like its tasks system, which allows us to create work lists according to our business needs, and we can add items to each task. His group chat system, called campfire, we also like a lot, because it offers many freedoms when sharing things with others. Something we dislike about basecamp is its message board, since it is a little difficult to make post announcements, or to update the progress of our project so that everyone can see it. It is a bit difficult to make feedback collections, and organize each team individually. We do not like the system of bookmarks, also called bookmarks. We highly recommend the use of basecamp, mainly if it is a small company, with very low staff numbers, or if it is simply small work groups for a specific project, as it is much easier to stay coordinated with what happens inside. of the platform and what other team members do. We highly recommend your discussion thread system. Thanks to the fact that we started using basecamp, our team remains in better tune. Now it is easier for us to be communicated at all times, and also to organize our group work. In addition, its integrated chat tool has made it fun to be in touch. "Basecamp is a very useful platform for my daily organization"
I like this system for project management. Basecamp has a user-friendly interface and many functions. It has allowed managing the project in a more practical and organized way without losing the initial guidelines and the proposed objectives, in addition, they have been able to finish in the estimated time and desired quality of the work. Honestly, I don't really have any complaints given other software that I've used in the past for this purpose. My overall experience with Basecamp was great and I felt that productivity was increased by utilizing a lot of the team functions. Basecamp offers the advantage that has various utilities that allow to organize in a very practical way and maintain an adequate follow-up to the project. My experience with Basecamp, though brief, was very rewarding. I used it while working on a contract with another company that had a company account. What I liked most was the user interface and ease of use. There are a lot of great features, but there is plenty of software out there that has great features and the user interface is too clunky leaving customers without the ability to access those features. "A clean and simple team collaboration and productivity platform"
The design of the Basecamp interface is neat and well-spaced, which makes it easy for me to find different sections quickly. There are many organizational tools, such as calendars, to-do lists and task queue boards, which offers everyone great flexibility when viewing and stating the status of assignments. I like that we can communicate with each other within Basecamp through robust chat rooms. We can create chat rooms for single projects, which helps to keep the discussions focused on finalizing individual projects. I also like the tagging feature, which allows me to target specific users when chatting in a group. 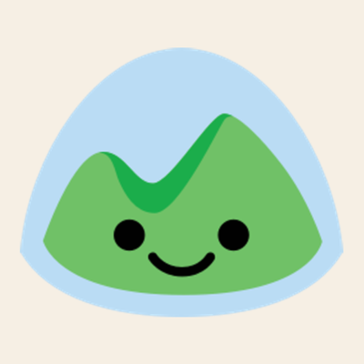 I think most everything with Basecamp is fine the moment, but when I first started using it, I had a significant amount of trouble integrating it with some of my web-based storage accounts and my phone and desktop calendars. The syncing wasn't working for me after following the directions. I didn't ultimately set it up. I had someone else connect everything for me. There are many collaboration tools like Basecamp in the market, but to me, Basecamp appears to be one of the more user-friendly platforms. The design of the interface isn't so stiff and cold like some other popular platforms I've seen. Basecamp is a great way to stay productive and in touch with your team members in a light and engaging way. I've benefited from Basecamp's ability to keep me informed on company activities and tasks. I can get real-time updates on what's going on and what still needs to be done. Basecamp has greatly reduced communication clutter that comes from using multiple platforms such as email, phone calls, texting and faxing. As far as planning goes, Basecamp really helps to break down all the fine details involved in a project and gives us a central location to communicate and access resources. "Basecamp facilitates the administration of projects." I love the fact that when you add a comment you can easily drag and drop an image instead of having to browse and upload. I really like how you can select to send an email on every update in a ToDo that you are involved in as I personally spend a lot of time managing my inbox, it serves as a reminder that I need to go check things out in Basecamp. For our purposes, there are really very few issues. If there were one thing it would be that if you leave a page that you it notifies you if you have not hit submit on your posting. We do have issues with people writing responses but not hitting submit and then we never get the message. We can set up Projects and "to do" lists within those projects and assign them to individuals and set due dates all within minutes. It also, makes communication between our team and the clients simple as we can add all team members to the communication flow and they can respond directly from their email and it posts in the Basecamp "to do". I feel satisfied. I enjoy the ability to log in, check recent updates on the projects that I am assigned to as well as the easy view of seeing the status of my ToDo's. It makes it simple to stay organized. It really makes project management easier for us as before, we would rely on email communication to try and stay organized and it was a bit of a mess. Using Basecamp makes your project more efficient. "Very useful for me and my colleagues"
I like being able to assign tasks, sort my daily tasks, and be able to edit some files online with other colleagues. Sometimes they say that less is more, and this program has everything, but at the same time it is easy to understand, it is very minimalist, it does not have the best user interface but it is very useful, and that is what really matters. I didn't like that it isn't really that well know yet- so people are not super eager to jump on board and try it out when asked to. Overall, I liked Basecamp and it's ease of use. To not have to use a bunch of different programs and be able to concentrate on just one was glorious. I loved that with Basecamp, you can blend all of your work tools into one simple program. It is a great program for people who might struggle with organization and the chaos involved in every day organizing work tasks like email, documents, appointments, etc. This program can tie it all together and you are not checking different programs all day long to figure out what to do next.
" Basecamp organizes our projects through calendars, it is the best"
Something that must be improved are the actions of assignments, it does not manage tasks of different projects, they must improve its interface to make it pleasant for the user. When it opens on mobile device it gets heavy. It is nice to recommend this product, as everything is lacking, but it has allowed us to improve our organization with our projects. The application has been useful, where it allows us to visualize in an organized way our projects through calendars we specify the pending to execute and the times that carry out each project. "My opinion and experience about Basecamp"
This software manages your business nicely, by having all or most important business tools in one package. you can schedule meetings, organize employee's tasks, sharing documents with them, and even chat with your team. and everyone can follow and be up to date with any change. Clunky interface. If the interface is sleeker, it’s easier to collaborate. I especially like the functionality provided by team drives by google. I think Basecamp is very easy to use. The system is simple for new users to pick up and essentially acts like a forum with pages dedicated to specific teams, projects, or tasks. Overall, Basecamp is a great software/website to use if you are regularly collaborating with other people digitally. The ease of use and simplicity. You set up the digital workspace, invite your collaborators and you now have a shared space that holds all the information for each project all in one spot. This works great for working across departments or even companies. "It is a good application when managing projects"
I have used Basecamp when contractors have asked me to join projects. Basecamp helps keep large teams on the same page. Having a central place to host assets and discussions makes it easier to find what you need without having to bug other people. We have trouble navigating the different options on the drop-down menu sometimes but it has not hindered us in a major way at all. My overall experience has been great. My fellow employees love the software and I think that our manager will be implementing it into our systems Basecamp is very user-friendly. It also allows my fellow employees to communicate quickly. We used this for project management on a web design that others were completing for us. So they set up the Basecamp site and we just logged in. I can't speak to the original set up at all but I really loved using the product for our project. Very easy to use to manage a project. I was readily able to communicate with others on a project and upload documents with ease. Basecamp built by amazing people such as DHH, and you can easily see every bit of their visionary perspective in the product. Ease of use, value for the price, constantly improving the platform and their return policy are the best features of the product. It was a good experience and I wouldn't mind using it again if a client requested it. Doesn't have a group chat video conference calling feature. Would be nice to have a personal touch to group communication. I appreciate how simple it is for an entire team (office) to be regularly working from the same program and contributing to the same place without it seeming crowded or convoluted. The to-do list aspect makes or break for my team, it genuinely keeps us aware and on track. I love the ability to have many projects in one succinct place. "It is very well done for projects with several people"
This is a simple software that allows those who are not tech savvy to create and be part of a team. At first, I found it rather simple but its simplicity is its elegance. It is just too... simple. Once I started using it, I started to look into reports, Gantt and other things... I could use Google Docs to manage my projects without all those features. I really enjoy using Basecamp Only a supervisor and advisor can see all the project progress. It's easy to communicate with project assistants and engineering assistants all those who all are involved in the project. I will be coming back. I liked how organized my day was as soon as I sat down for the day. My task is scheduled for me. It's easy to communicate with project assistants and engineering assistants all those who all are involved in the project. We can even talk on personal chat with someone. Best feature is that person given access can only see that messages about purchasing and progress reports. 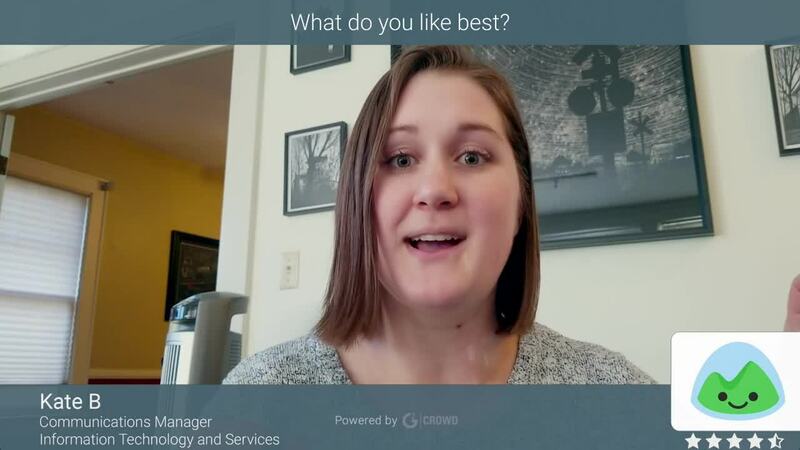 "Basecamp allows us to work better as a team"
What Basecamp liked most about our team is that it is a useful collaborative tool that organizes projects easily and efficiently. He is an excellent manager and administrator of online tasks, is characterized mainly by the simplification of work methods and by favors a smooth flow of information. Do not love the organized one that is its user interface. You can not make video conferences this is a big problem for communication between team members. Nor can audio and video conferences be made other delay for Basecamp. It does not have the Gantt chart tool. Does not allow portfolio management or resource management. Basecamp is recommended to all those companies that need to manage the creation of subtasks. Thanks to its collaboration tools, this platform is one of the best in that area. We can keep track of the percentage of progression and with this know an approximate of how much is needed to finish the task or if there has been some delay in its completion. Many SME companies lack an adequate model for project management, but with this software we find the solution to that problem. We also solved our problems of managing tasks of different projects at the same time in the same basecamp Project. We can have here tasks, milestones or threads of different topics in the same section without losing effectiveness to this tool.
" Coordinate your work team with Basecamp"
configuring even a delivery date and a reminder to notify you when there are only a few days to complete it. On the same platform you can generate messages as conversation threads, where you can also share files. Every time a request or a query is published, Basecamp sends notification email. they are stored on the platform. This material serves as a backup to endorse agreements, requests and deliveries. making each team as the progress of the project as a whole. In this way we can minimize errors and respond quickly to requests and doubts. My colleagues and I are very grateful to basecamp for allowing us to have an optimal working platform where we can share ideas, transfer files, properly manage our company and facilitate the use of certain programs. It also facilitated the feedback with the clients what, therefore our circle of clients has expanded, which logically increases our income, thanks basecamp. "It greatly facilitates the organization"
I like the social aspect of this software. Being able to have a forum with other co-workers, online, regardless of wherever you are in the world. I like the scheduling features the most. It took some time for everybody to figure it out and get on board. I think that may have to do with the user interface, but other than that, it's been great. Basecamp streamlines communication beautifully. All team members will be notified of any messages or changes made on the platform without the need for external email follow-ups. I can also keep track of multiple projects without losing track of who is assigned to what. This software made it simple for us to organize our workflow and track the progress of a different project. We have a loss of work that has to pass through multiple teams and it would sometimes get lost in the cracks, but Basecamp has helped us organize all that and now we can see exactly where a project is in the process. "Basecamp helps me a lot at work"
Basecamp allows workmates to engage and track different projects in one page. It notifies all the members for any new activity in progress in any project allowing everyone to be updated. It has a calendar that allows the members to schedule their business operations in a specific date. There was a time it was slow after signing in. I guess they have just updated the software, but currently it is excellent. It is so easy to organize specific projects and keep any type of communication (such as chats or feeds) as well as file organization all in one place. AND you can have so many projects going on. My job at the time switched to this platform and it was a life-saver. We used Basecamp at the time for multiple design projects and coordination and it made everyone's jobs and communication so streamlined. I couldn't recommend it more. I honestly think this was the most user-friendly and efficient task management software that I have used across jobs. "Efficient to handle group projects"
Basecamp works with rapid speed and very reliable. Keeps all individuals on the same page. This award-winning software by Basecamp company is free for Educators. In fact, is the first kind to introduce Remote project management. All customers query resolved by 24/7 tech support team... Access to group chat rooms and sharing files and folders with video chat facilities. Features are limited for individuals, personalization is not allowed and editing or making changes to the company's profile. It is very efficient for project management and for collaboration with clients and team. It has become famous because of its professional and responsive team that works amazingly. Collaboration has become easier than before. It provides the best and advanced functions. If I talk about its interface, that is incredibly excellent and easy to use. Basecamp has become a popular and widely used product everywhere. It is giving such amazing services. It is an advanced project management tool. "Basecamp will be very useful to organize plans"
The fact that not only has a group chat but also combines all the tools that teams need, together in one place, such as message boards, schedules, to-do lists, and storage of documents and files. All this in an organized and optimized way, so all the members of your team will know what to do with each tool. Your service for task management is very useful. To our staff it seems a great fault that there is not an option to track hours and cats generated. You can not perform a recurring task management because we do not have an option to do it. Version control is obsolete. Basecamp is highly recommended to those who need to have diverse administration tools in one place such as their chat and messaging service, group chat, calendar management, push notifications, surveys and comments, activity feed and news, discussion forums among others. With this platform it will be all in one place and organized instead of being dispersed. This tool is very useful to manage the tasks of our company and divide it to different teams depending on each of their capabilities. The file sharing of basecamp is really intuitive and innovative, making it a great benefit for its users. Another benefit is its price, which is cheaper than the average of project management platforms.
" If you want to organize projects in a simple and effective way, Basecamp is the perfect option"
What we visualize optimistically is that it is a very easy to use system, it helps in a very professional way to solve any type of problem with the administration of my company. It helps to maintain communication with my employees. "Basecamp is a very useful tool to organize"
It is a very easy to use tool, it keeps tracks of all the activities that are going on within the project. You can set due dates, responsible and set email alerts when the activities are almost due. There is a learning curve on how to use the software. Limited functionality/customization, could use some further development. It was a great platform years ago as there was not a lot of collaboration SaaS out there. It's outdated now and way too pricey for what you get. Used it for quite some time, a good way to organize projects on the go with other employees. We use this tool to keep track of projects that are going on within the company, we add responsible users that collaborate in the project and it leaves a history so that everyone involved in the project can see what happened. It also has a calendar which makes it easier to track activities. "Basecamp keeps an excellent order and up to date with my team"
Great tool to work with and ensure all team members can share all necessary information such as due dates, job progress reports, and calendars during a project. The platform offers file sharing, to do lists and has its own chatroom which is ideal for project management. Had to identify where others are when working on a project together. It won't have a feature to create Gantt chart, it seems hard to store file in clouds. Overall very useful for storage and collaboration. Easy to use, everything is very intuitive and privacy and notification settings are customizable. It is very convenient for me to check the progress of my projects. It is a project management software. There are many options such as calendar, everything, progress and etc. in the calendar we can save the dates and things to do on that date. In progress, we can check the progress of the project and what we have done yesterday, tomorrow and old history also. In everything, we can check single files, read documents, browse every discussion and can check all forwarded emails. "All the tools in one place"
"Flexible Project Management for Client and Team Collaboration"
Basecamp 3 offers teams a robust online space to collaborate on projects of almost any type. Clients easily grasp Basecamp and quickly become valuable collaborators on their projects. Basecamp offers many tools that can be turned off or on depending on a project's needs. Basecamp 3 offers robust document creation features so specs and instructions can contain imbedded media. This has vastly improved our documentation. Basecamp integrates with popular timekeeping and other services via Chrome Extensions. I would love to track "work in progress" and start and end times for individual To-dos and lists. A kanban board view would also help visualize our work better. Other than that, it's a great service we rely on daily. If you need a Project Management solution that measures a lot of metrics, Basecamp is not for you. But if you want a flexible solution that can accommodate many types of projects of varying sizes, one that is easy to learn and use, I can't think of anything better than Basecamp 3. We needed a project management service that offered a place to collaborate with our clients on custom software projects and support. Each person on a project can be assigned tasks, notified about changes and post comments so everyone knows what is on their plates. Basecamp 3 allows us to keep To-do lists, comments, documents internal to the team until we are ready for the client to offer their input. Fast filtering across all projects makes sure nothing is lost. "Basecamp is a good way to keep the team in communication"
I like it because in this way it is easy for teams to communicate and interact for project execution within the same platform. It is an ideal collaborative tool. It is easy to create a to-do list as well as optimize scheduling activities and so many other things. I like but, require more features to be added .. more customized UI, I wish there was a way to use the list and card function together to organize tasks and documents. This is a great project management tool.This is an awesome product to help your teams keep projects organized. This has been perfect for our teams and projects. It has also been a useful tool for personal project management of my daily tasks. Before we started using Basecamp, we had different communication links, even within teams. It was really difficult to communicate with peers and receive prompt responses. Now that has become possible. "With basecamp planning an activity is ridiculously simple"
Something that we have always liked about basecamp is its excellent internal chat tool, which allows us to easily communicate with team members. We really like your project document management system, and also allow you to brainstorm ideas and forums to discuss issues about each project. The system for tracking the progression of each project is excellent. Basecamp has many limitations, because it does not allow us to manage project portfolios, ideas, resources or budgets. Nor does it offer an adequate system for tracking costs until the completion of projects. It does not have the capacity to manage agile methodologies, nor to manage customizable models of the projects. Basecamp does not have any videoconferencing function, nor view of tasks. We want to recommend basecamp to those small work teams that mainly work remotely, since it will always be easy to know what other team members are doing. We highly recommend your brainstorming tool. Basecamp is highly recommended to track milestones correctly. Basecamp has solved several of our business problems. One of them was thread management among staff, and file sharing. It has also helped us a lot with the management of the activity calendars, which luckily are very customizable. Basecamp centralizes many tools in one place, and that has made our work more comfortable. "Good for small scale project management"
Basecamp has a simple interface that makes it easy to learn how to use. Communication is made easy by providing options to attach files, and choose who in the team we want to send it to. It's great for sharing meeting notes and important documents. The calendar helps communicate our game plan to clients and can be used to track team member's PTO/availability. Messages can be sent to emails, ensuring that everyone sees it even if they don't open Basecamp. The aesthetic design is behind the times. Basecamp has all the basic features, but nothing extraordinary. WIsh there was an "@" option to reply to specific people, rather than everyone in the message chain. Basecamp is good for managing projects on a small to medium scale, but it may be difficult to adapt for large projects with lots of people and resources. Basecamp is great for communicating with clients and teammates on small to medium-sized consulting projects. The interface is minimal so it is easy for those who are unfamiliar to learn its features.